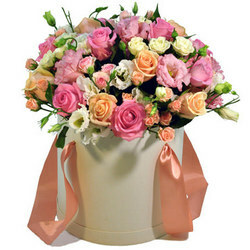 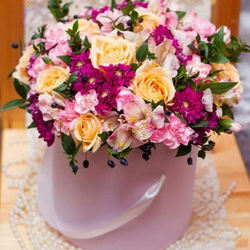 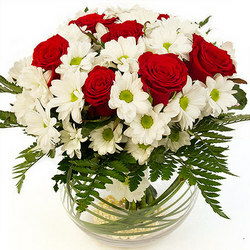 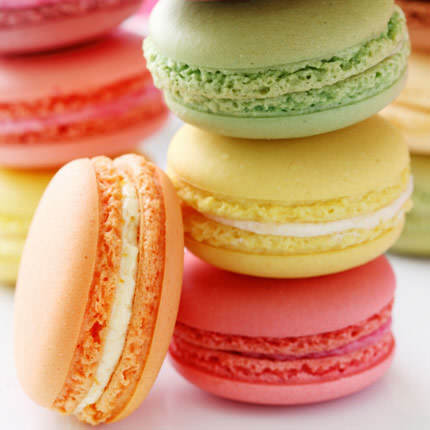 Elegant and refined, gentle and cute - it's charming composition, created to express the most sincere feelings! 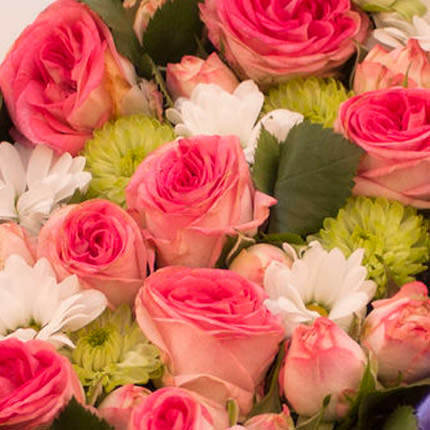 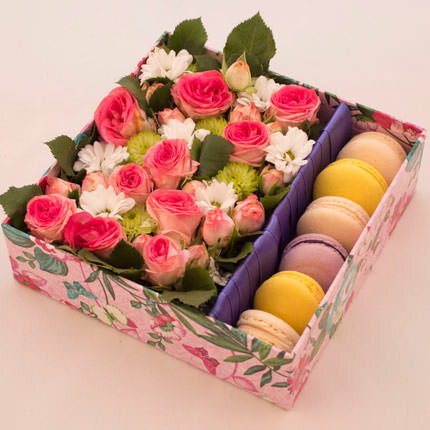 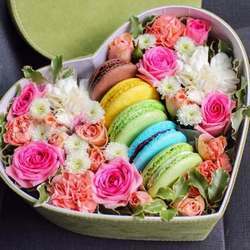 Composition: 6 Macaron cookies, 9 pink roses, 2 branches of pink spray roses, 2 branches of green chrysanthemum santini, 2 branches of white camomile chrysanthemums, decorative gift box, floral material. 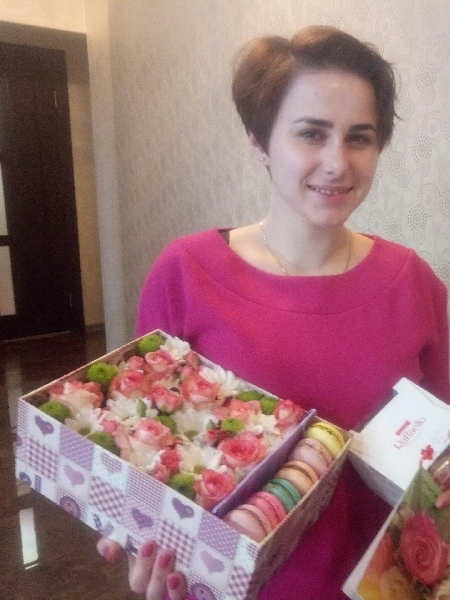 Flowers in a box "Lovely holiday"
20032019 © Flowers.ua Composition in a box "From Paris with love!"